I’m a big fan of one-pot meals. In the colder months I use my Crock-Pot like it’s going out of style: I make stews, roasts, you name it. I also love Indian food for probably this very reason: much of it involves simmering a bunch of ingredients in one pot to create something greater than the sum of its parts. This curry starts out with onions. 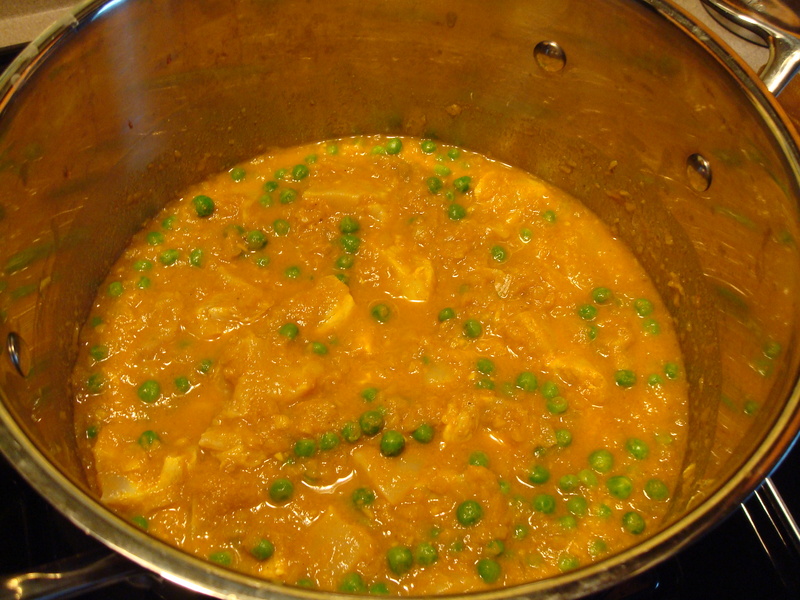 …chicken, peas, and finally sour cream, and coconut milk along with salt and pepper to taste. This recipe intimidated me at first because of the amount of ingredients (or as a character on my favorite version of Bravo’s Real Housewives series might say “ingredientses”) but actually it’s a piece of cake. It takes a little more prep work than your average recipe but once you get the curry started all you have to do is keep adding stuff to the same pot. So simple. 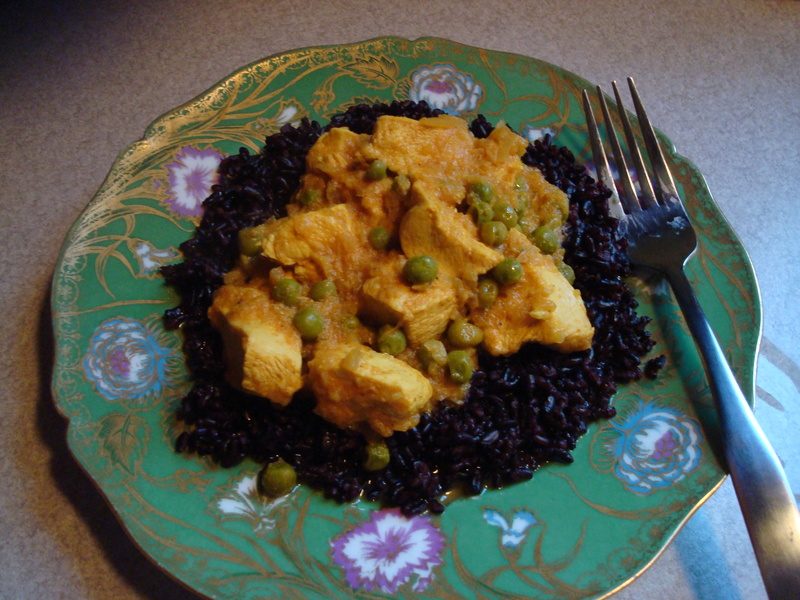 This curry is great over rice and lately I’ve been into black rice as I have read that the health benefits are numerous. It also makes for a beautiful and colorful plate so that’s not too bad either. Heat oil in heavy large pot over medium heat. Add onions and sauté until golden, about 15 minutes. Add ginger and garlic; sauté 1 minute. Add curry, cumin and cinnamon sauté until fragrant, about 1 minute. 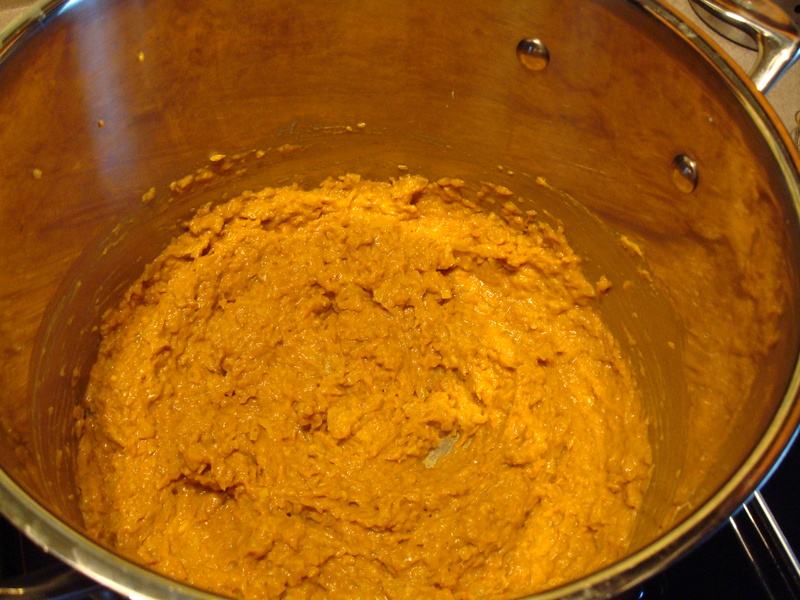 Add flour, then yogurt and tomato paste, whisking until sauce is smooth, about 1 minute. 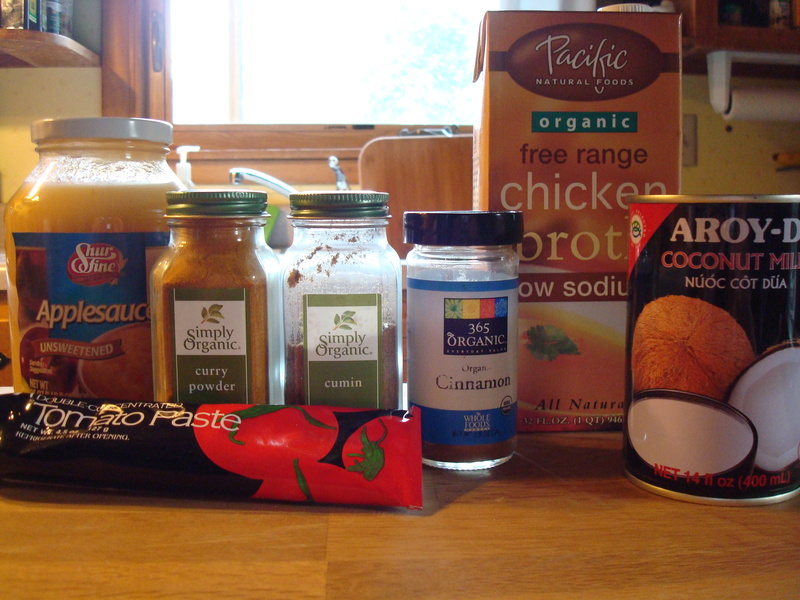 Add stock and applesauce. 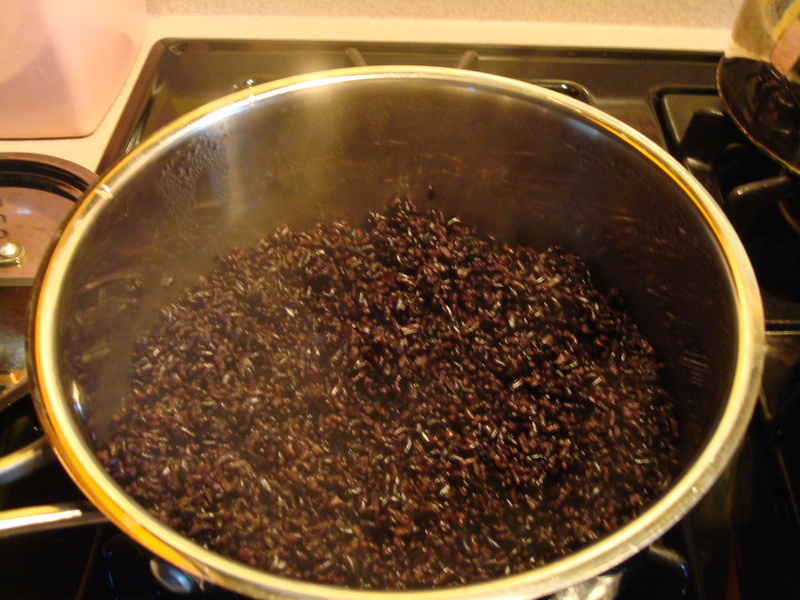 Bring to boil. 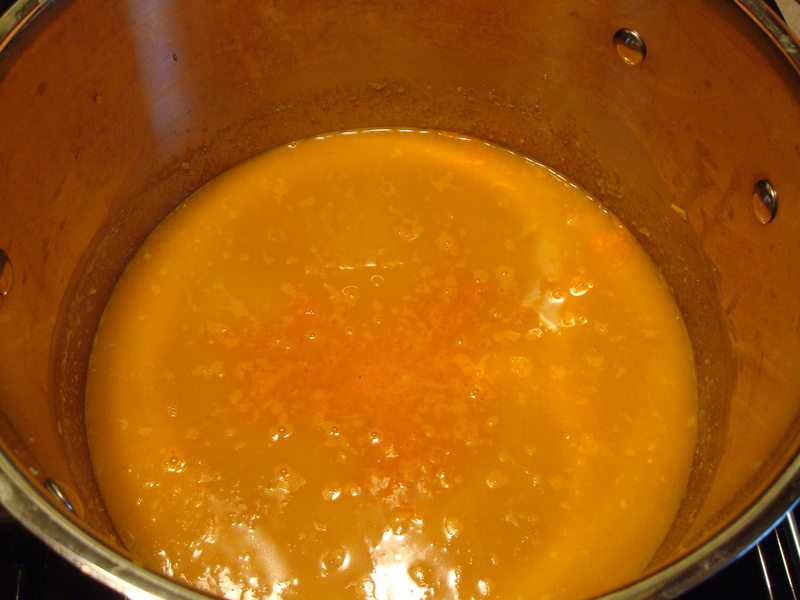 Reduce heat; simmer until sauce thickens slightly, stirring occasionally, about 30 minutes. Add chicken and peas to sauce. Simmer until chicken is almost cooked through, about 10 minutes. Add sour cream and coconut milk. Reduce heat to medium-low. 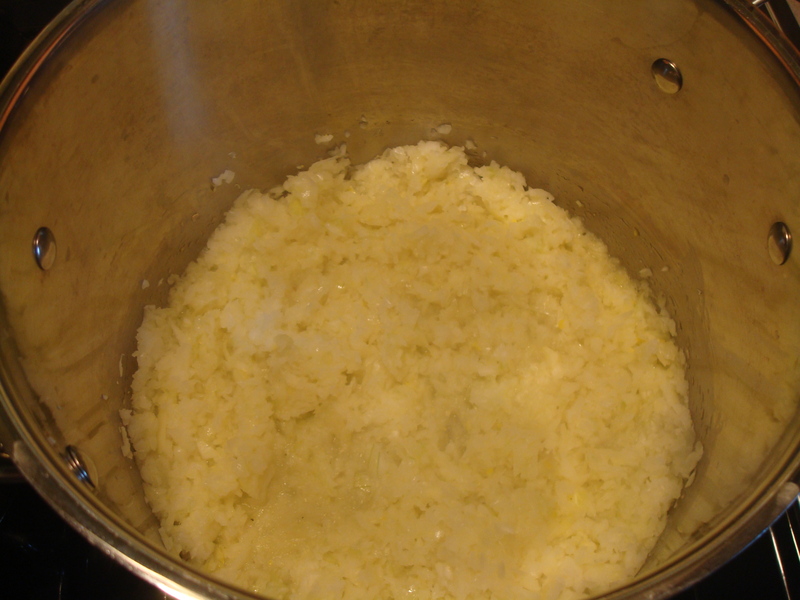 Stir until chicken is cooked through and sauce thickens enough to coat spoon, about 5 minutes (do not boil). Season with salt and pepper. Transfer to bowl.